The Online Photographer: What's the Best Lens Line? What's the Best Lens Line? Not looking to start any arguments, but interested in opinions. I've been using the Panasonic GX8 recently and have discovered—big surprise to me—that I'm actually a huge fan of Panasonic lenses. Micro 4/3 wins the war when it comes to lens size—a whole kit is lovely and compact, easily portable. For all the popularity of Sony's A7 cameras, some of the new lenses are monsters and a kit doesn't really look to offer much "schlepping" advantage over full-frame DSLRs. The Panasonic 12–35mm ƒ/2.8 has been thoroughly overshadowed by Olympus's better-on-paper variant of the same idea, but the 12–35mm is a truly fine lens by all the measures I personally care about. Just a really great all-rounder that scores highly in every way, from its lovely image quality to focal-length flexibility to its constant maximum aperture to size, weight, and operability. If I shot Micro 4/3 you'd have to use a crowbar to pry that lens out of my hands. If I were going to build a lens kit in the Panasonic lineup, I'd choose four: the 20mm ƒ/1.7 II, ; the aforementioned 12–35mm ƒ/2.8; the "King of Bokeh" 42.5mm ƒ/1.7; and the 35–100mm long zoom, which would be useful in the landscape I currently live in but which I know only by reputation. That would cover all the bases for me. And that whole kit weighs in at a grand total of 31.12 ounces (882 grams). Here's a size comparison between the Canon D80 and the marvelous EF 24–70mm ƒ/2.8L II and the Panasonic GX8 with its 12–35mm (24–70mm angle of view equivalent) ƒ/2.8. Graphic courtesy CameraSize.com. Or is it Nikon or Canon? When I wrote a magnum opus magazine article called "The EOS Revolution" for Camera & Darkroom magazine in 1991 or so, Canon was flying high as an innovator. Now, it has the reputation of being complacent and hidebound, a broody hen sitting on its eggs. (That's probably just that "don't mess with success" phase that corporations go through when they insist that the handwriting on the wall isn't actually on the wall.) But its lens lineup is huge and has many high points, including what might be the prettiest normal zoom optically of any, the EF 24–70mm ƒ/2.8L II. Beautiful lens, and it's hardly Canon's only great one. So does Canon get your nod? The Leica M-mount has as many fun options as Micro 4/3 and likely more, depending on what you count. Of course, many of the tastier of those options have a very high price bar—like a big bouncer at the club door who won't let anyone in. And they lack certain features the market cares for, like, well, that little alleged convenience called "autofocus." Still, I can see Leica M lenses winning the palm for the right person. But I still haven't plunked down for the 56mm I need or the longer tele zoom I think might be useful for the hills and lakes of Western New York. (It's the only place I've lived where I consistently see small pictures that are far away!) I suspect my commitment to Fuji might be...weak. Too many good alternatives out there I guess. Or maybe it's a knee-jerk frugality that makes me balk at the combined expense. But what do you think? All things considered, what gets your vote (even if it's not what you shoot with)? Frank Grygier: "Despite a recent dalliance with a Sony A6000 I have been a dedicated Micro 4/3 user. I happen to have all the lenses that you listed except my 42.5mm is of the ƒ/1.2 Nocton variety. I also have many of the Olympus prime lenses. I do find myself gravitating toward the Panny lenses lately and travel mostly with the two zooms you mention. I also pick up the Panny GX8 over the E-M1. I continue to struggle with the selection of Sony lenses for the A6000 and will probably stay with Micro 4/3 because of portability and the investment I have made in the system." Tom Hassler (partial comment): "...I'm going to cast my vote for the Zeiss Batis line for the Sony FE mount...."
Craig (partial comment): "I strongly dislike the MIcro 4/3 lens lineups from both Olympus and Panasonic because they seem to have decided that since software can correct for geometrical distortion, there's no need for the lenses to do it. Raw files from most of these lens show really bad distortion. While software can straighten the images out, this unavoidably reduces sharpness toward the corners." Technical Editor Ctein replies: I have to disagree that raw files from most Micro 4/3 lenses show really bad distortion. Apropos the email conversation Mike and I have been having, I've been looking at a lot of uncorrected distortion figures (because it's the fastest way for me to filter out a whole bunch of unacceptable candidates). Some Micro 4/3 lenses have unacceptable levels of geometric distortion. Most don't. I think you're running into sample bias—the focal lengths that you're interested in don't have good performers. Note that correcting modest amounts of barrel distortion in software (under ~2%) produces no visible degradation in edge/corner image quality at all. It's an entirely useful tool for designers. It's when you correct large amounts in software that you screw things up, because the degradation goes up with the square or cube of the distortion (not sure which—haven't played with the maths). Numbers up over 5% are very, very bad, and if you're looking for something in the 24mm-equivalent range in Micro 4/3, you're pretty well out of luck. (I also looked at the various APS-C options. No joy there, either.) Nothing is particularly better than my much-maligned Olympus 12mm, and some are worse. So, no alternative for me, yet (there might be a new Leica 12mm lens coming down the pike, but I ain't getting my hopes up). But...looking at the same vaguely equivalent-focal-length for the Fuji X cameras, every single lens also has unacceptable levels of distortion. There's nothing in that regard that makes them superior to the Micro 4/3 line. The 14mm (21mm-equivalent) Fujinon XF ƒ/2.8 has insignificant distortion—0.4%. That's ridiculously good for any ultrawide in any format. It's the sole exception to the pattern. So, what did the designers sacrifice to get that good distortion correction? Vignetting is serious—something like –2.5 stops wide open. That's not a good number. But you can deal with that. When I said under 2% distortion's okay and over 5%'s trouble, those are Photozone numbers. Divide by 2 (i.e., under 1% and over 2.5%) if you're looking at DxO's reports. Ryan Cousineau (partial comment): "A very brief, self-deceiving bid for Pentax, as the best value in lenses. The Micro 4/3 stuff is smaller (and the best stuff is very good), and Canikon do Canikon surpassingly well, but if you're a cheapskate like me, the 'obsolete' 50mm ƒ/1.4 from Pentax is still the best value around, and you can find fantastic old lenses for no money at all...."
Ken: "What's the Best Lens Line? Well, that depends on what you shoot, doesn't it? For wildlife, which is my primary interest, I am not aware of any line that tops the Nikon and Canon telephotos." Jeff: "Well, since the 'best' camera is the Leica S, a lot of its appeal comes from the equally superb S lenses. Not small, and perhaps not the state of the art AF, but all have outstanding IQ and weather sealing, and are pretty, too, on that camera. The weakness is that there aren't enough of them...only 24mm to 180mm (equivalent 19–144 in 35mm terms), and no wide tilt/shift. Oh, and they're expensive." Stephen Scharf: "I have the Olympus OM-D E-M1 (terrific camera) and some of the Olympus primes for it, but the two lenses that go with me everywhere with that kit are that sweet, sweet Panny 12–35mm ƒ/2.8 and 35–100mm ƒ/2.8. I love 'em. I can fit the entire kit into a small ThinkTank Mirrorless Mover 20 bag, and it is small (8.9” W x 6.1” H x 4.5” D), compact and light, so the entire kit is highly schlepp-able. A truly superb and very versatile kit for travel with literally pro level quality. "My heart really belongs to Fuji X, though. I know you don't use or have shot with the 18–55mm ƒ/2.8–4 zoom, but it is a really good pro-level zoom (David Allen Harvey of National Geographic says is it the first zoom he has ever liked), plus I love, love, love the Fuji 14mm. X-T1, 18–55mm, and the fabulous Fuji Fourteen and color me done...."
sneye: "To me Micro 4/3 strikes the best compromise between size, optical quality and equivalent speed. It has a vast collection of native lenses to choose from. I currently own an Olympus 12mm, a Voigtlander 17.5mm and a Panasonic 25mm (among others—I'm embarrassed to mention them all. Anyway, those three see the most use). Each has its own drawing style. "That said, Fuji's selection of primes looks excellent too. I only wish they made some more ƒ/2 lenses like the new 35mm. A maximum aperture of ƒ/1.4 seems a bit over the top these days. Pentax offers a few unique small primes I must try one day. Leica? Of course. I keep admiring the subtle transitions which characterize those jewels, but owning one is way beyond my means." David (partial comment): "Canon lenses are excellent and they have a fantastic array from which to chose. I've used a huge selection of their lenses over the years and they can always be relied upon. The latest 24–70mm is really an amazing performer. Many photographers I know have ditched primes in its favor." hugh crawford: "Re 'For all the popularity of Sony's A7 cameras, some of the new lenses are monsters': Putting on my pedantic hat:) It's simple math. For a given size Micro 4/3 camera or lens, to scale it up to full frame it will be twice as long and have eight times the bulk and weight. The Sony A7 weighs 27.1 oz. with batteries and the kit lens. The Panasonic G7 weighs 19.1 oz. with batteries and its kit lens, but if it were as compact as the Sony A7 it would weigh less than 3.5 oz. So the real question is, why are Micro 4/3 cameras so darn big? "By the way, did you know that the Crown Graphic is one of the most compact cameras ever? If it was as compact as a Minox it would be 40 inches wide and weigh around 400 pounds, and if a Minox was as compact as a Crown Graphic it would be smaller than a dime and weigh about as much as a cornflake. Back on topic, the Zeiss/Sony 55mm ƒ/1.8 may be my favorite lens ever. It's certainly the sharpest lens I've ever used." Peter Filtness: "Best lens line (and value) for me...Canon FD series. Lasted 20 years+ on a Canon F1/F1n and still going strong on my Sony A7. But you gotta love that manual focus ring...."
I find the A7 stuff with MF lenses to be plenty small enough. I do miss the NEX-7 I had a while back, which produced some real winners with native lenses. The camera was the complete deal, what with the built in flash and the now important folding screen. I had Nikon stuff for a long time, so pocket sized is not a requirement. Leica lenses up to 135 are pretty compact. I had the Panasonic GF1 and one point with the 20 1.7 and 14 2.8. It was a fun system to carry around. However, I found the default colors a little too cool for my liking. For one reason or another I have found myself back with Nikon. I recently purchased a used D700 which, at 12 mp, is enough for me and it produces outstanding files in color and monochrome. Ultimately, I came back to Nikon because I do like the Nikon "look" and there are many wonderful MF AI and AIS lenses that are inexpensive and a joy to use on this camera. Among them is the 75-150 3.5 E which is an excellent lens that I picked up on Ebay for $29! Ultimately, I think it comes down to the system that makes photography the most fun for you and best allows you to express yourself. need to add to previous comment: do not like zooms!! The 20 version 2 is a great lens, however, the 15 is even better, and a very nice complement to the 42.5 1.7. The one thing to not like about the 20 is the AF motor, it's a bit slower. And for quick work, the 15 is just the right amount of wide. The 25 1.7 is also a nice lens. Silent, fast, light, and very good in the center. It does fall off a bit in sharpness off center at 1.7 so it may not be your cup of tea. If you need better, there are many used 25 1.4's out there. The two zooms are quite good, I've had both, but now I have the Olympus versions. I need the longer reach of the 40-150, and due to Oly and Pana zooming in opposite directions, I had to get the short zoom too. Having zoom rings that go in opposite directions is a sure way to invite disaster on a fast moving job. As it is, it's taken me a few months to get used to the new direction. Pluse the Oly's are bigger and heavier, but not so much as you might expect. Micro 4/3 has so many great choices. I'm looking forward to the new Pana/Leica 12mm. The Oly 12 is good, but odd in the way it renders highlights. I have been a Canon fan ever since my FX days and later my F1. I loved the 85mm 1.8. I mean I loved that lens. Since then I have probably owned more Canon lenses than a person should be allowed to covet. Now that I own a 5Dsr and several zooms (perish the thought) my bag now contains a 24-105 and a 70-300 DO and I have also opted for a new Olympus Pen F with a 12mm, 25mm, and a 45mm excellent lenses all. So, which do I prefer? ALL OF THEM! There that answers THAT conundrum. Even third party lenses have gotten pretty awesome of late. For Fuji, they set themselves apart by publishing a roadmap of upcoming lenses, and by making more primes than zooms (12 vs. 9 from their current official roadmap). Meanwhile, the "old guard" Canon and Nikon make minor updates to existing designs and pump out more cheap kit zooms. I recently acquired a GX8 too and am loving it. A real improvement over my previous GX7. But I'm partial to prime lenses, so my "ideal" lineup would be the Panny Leica 15mm f/1.7, the Panny Leica 25mm f/1.4, and the aforementioned 42.5mm f/1.7. I already have the first two, which are superb, especially the 25mm. Looking forward to the 42.5mm based on your recommendation. As you say, it's remarkable how light and compact an outfit like this is. I've got the Fuji X-Pro 2, and for lenses the 16mm, the 35mm f2, and the 18-135mm. These cover everything I have needed or will need -- I'm just too impatient to sit and wait for birds in a hide -- and I am pleased as punch by the versatility and the beautiful files, which LightRoom handles faultlessly. My walk-around lens is the 35 mm and when I go out purposely to shoot I carry them all. I have tried the 90mm and that is a super lens too. If I had it to do over again I might choose it over the zoom. 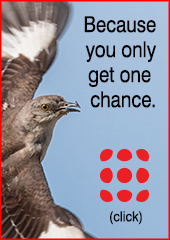 I'd certainly choose it if I were into bokeh, which I'm not particularly. I suspect you might really like it. While I'll certainly agree that about 2 pounds is pretty good for the Panasonic lenses you put together, there are many of us who find the M4/3 sensor size a bit too small, and the Canikon lens kits too big. It is for this and other reasons many people like Fuji and its lens line. It's seems "just right." The combination of 10-24, 16-55, or even 18-55, and 55-200, or 50-140, comprise a line up that is quite impressive, and still way short of the full frame DSLR, or even full frame Sony, weights. One can also put together some excellent Fuji primes to almost get there, except for the long end. That combination gives one the equivalent of 15-200 or 300mm in a relatively small and lightweight set with impressive image quality. I had an Olympus OMD model and liked it a lot, except for the image quality, and menus. I've rented the Sony A7RII and like it a lot too except that it is expensive. While the Sony has a bit better image quality, sensor real estate does matter, not enough to give up my Fuji. I'd really like to have a medium format digital set but then the price and size really add up, but the image quality is proportional. I just cannot bring myself to spend that kind of money or carry that kind of weight. So for now, and I do await the presumed 24MP sensor in the X T-2, I'm reasonably content. The Panasonic 20mm f/1.7 was a big reason for me to pick M43 and the 14mm f/2.5 and Olympus 45mm f/1.8 flesh out my system. Also, I have fairly small hands. After having gone over to M43 (I used Nikon DX before) I'm actually less concerned with compactness, although the idea of big DSLRs isn't appealing to me. I can for the most part get along fine with just one lens and given that it's a prime, one body and one lens won't be that bulky. Weight is still a concern for me, though. The Fuji lens lineup looks positively sweet, but I'm very fond of image stabilization (yes, even with relatively bright and short lenses) and I very strongly prefer 5:4 or 4:3 over 3:2, so I don't foresee a scenario where I'd go to Fuji. Sony's latest RX1 does have 4:3 aspect ratio as an option and if that option finds its way into the next A7 model, I could see myself going Sony. The 35mm Sonnar is apparently a very nice lens, although I definitely would prefer an f/2. I really like the idea of switching aspect ratios on a 35mm lens to go between wide and a wide-ish normal, since for the stuff I use a wide angle lens for I usually find the 3:2 aspect ratio to work just fine. I strongly dislike the MIcro 4/3 lens lineups from both Olympus and Panasonic because they seem to have decided that since software can correct for geometrical distortion, there's no need for the lenses to do it. Raw files from most of these lens show really bad distortion. While software can straighten the images out, this unavoidably reduces sharpness toward the corners. While sharpness isn't everything (and I tend to agree with Cartier Bresson that it's "bourgeois" in the sense that too much concern with it represents an obsession with technical quality over artistic quality), I still want my lenses to be properly corrected. I don't think software is an excuse for lenses that are technically inferior to those from the film era. I'm still really impressed with Fuji's X-mount lenses. I have their 14mm, 23mm, and 60mm lenses, and they're all fantastic. Even their 18-55mm kit lens is incredible compared to other companies' kit zooms. There's a character to the images I get from my X-E1 that seems much less "digital" than what I've seen from Olympus, Canon, or Nikon digital cameras. I'm not sure how much of it is the lenses and how much has to do with their X-Trans sensor with its non-Bayer filtering, but the way the system as a whole renders images is much better than any other digital camera system I've used. A very brief, self-deceiving bid for Pentax, as the best value in lenses. The u43 stuff is smaller (and the best stuff is very good), and Canikon do Canikon surpassingly well, but if you're a cheapskate like me, the "obsolete" 50 f/1.4 from Pentax is still the best value around, and you can find fantastic old lenses for no money at all (get a fun K-mount 40mm pancake lens for under $100; the hilarious XS version of the same lens, new, is still a screaming bargain at $230 these days). None of this gear is "pro" or anything like it. And for compactness, a u43 camera is a better idea than a tiny lens on a Pentax SLR. But for people with modest needs, you can buy occasional-use lenses for less money than the shipping on a rented lens. As a long time user and lover of Zeiss (C/Y mount) lenes, both back in my film days on Contax bodies and now for the last six years adapted to my Canon 5D MK II, I've become tired of the weight and now have committed to Olympus MFT because the lens lineup gives me a look I prefer over the Panasonic in general. I do have the Panny/Leica 25 1.4 but I don't use it all that often It's a very nice lens but I don't think it gives that Leica look in it's images. My current Oly kit consists of 17 1.8, 45 1.8, 75 1.8, 60 2.08 macro, plus the kit zooms (14-42 II R and 40-150 II). The 40-150 is a mediocre lens, the 14-42 is way better than it has any right to be for the price, I like the 17, really like the 45 and I adore the 75. The 60 macro is just OK but I haven't used it much yet. When taking portraits, I try and make sure I have the space to use the 75. I can't get enough of that lens and it's a focal length I rarely used to use before I obtained the 75. I just have never cared for the look of the greens and the flesh tones when using Panasonic cameras and lenses. I owned a G3 and sent it back after 3 weeks. I also spent a day shooting the Panasonic LX100 alongside the Fuji X30 and far preferred the images from the smaller Fuji sensor over the LX100 though I preferred the Panasonic's controls and menus. These days it's the Olympus 5 Axis in body stabilization and M. Zuiko lenses for me. To only comment on what I have and use, yes the Sony FE is the worst, and maybe Nikon is the best because it gives a wide selection of both manual and AF. There a lot of sentimental value in buying the old lenses I wanted and was curious about back in my earlier days. Yes, that 105 2.5 AIS is just dandy, as is the 50 1.4. They focus better than any AF lens, but it does mean I have to have 2 sets of lenses (well 4 including the Sony FE and Leica M) All useful, I just bring what I think I am going to need that day. Plus the AIS lenses on the Sony give me tilt, which I needed as recently as Tuesday. Anyone choosing between mirrorless systems for portability is going to pick the FE 24-70/4 and not the GM (I think that stands for "giant monstrosity"). And yeah, I don't think anyone picks Sony specifically for it's (native) lineup. (For it's adaptability, maybe). Thom Hogan posted suggested mirrorless travel kits yesterday, and his m43 option was an Oly body with the two Panasonic f/2.8 zooms you mention (for portability over the Olympus versions). Olympus & Panasonic's lineups strike me as very competent. Between them, Olympus seems like it has more "desirable" lenses (i.e. lenses that don't just do their job, but that have that certain something that makes you want them). Could be marketing, because I've only spent mere minutes trying them out at shows. But Fuji has the most compelling lineup for my tastes. I also note that your commentary addresses the camera manufacturer's lineups, but Sigma is becoming increasingly intriguing, and the day may come that (more than a few) people pick a body to go with a lineup of Sigma lenses. I picked up the 60/2.8 to use on my Sony A6000 and while I already own the FE28/2, I've seen many really nice samples from the new 30/1.4. And I know many Nikon & Canon shooters are happy with Sigma's higher end "Art" lenses. Your point about the light weight of the Panasonic lens line is well-made. One of the reasons for this is the judicious use of high-quality plastics. Many people seem to have a knee-jerk reaction against plastic, but the technology is now mature. We're seeing it increasingly and as fondly as we might remember the days of brass, steel & glass, those days are becoming a thing of the past. The weight savings is a significant plus in many cases. I'm going to cast my vote for the Zeiss Batis line for the Sony FE mount. Using the same approach (weight-saving materials where appropriate) Zeiss is building a line of full-frame autofocus lenses that are surprisingly light and well-balanced on the A7 cameras. These lenses are superb optically, and at the same time designed with a nod to the lower mass advantage that mirrorless systems offer. IMO, the Sony GM-series are meant to shout to the world that Sony can build big-gun lenses to compete with anyone. Though undoubtedly great in many ways, ergonomically they are very much the tail wagging the dog on an A7 body. ... well... I've bought into Sony's APS-C mirrorless and feel it's the right balance between weight, lens options, and image quality. I looked at Fuji mirrorless and, frankly, they feel like 35mm film cameras with all the attendant size and weight. I didn't like the cost, either. I looked at Olympus/Panasonic and, frankly, couldn't stand the plastic feel of their lenses and doubted the size of the sensor could stand up to my imaging desires (I've since been proven wrong about the small sensor vs IQ). As for Sony lacking lens options, just how many lenses does a person actually use? I'm happy with the Sigma Art DN as well as Sony's 55-210. That small kit covers 99 percent of everything I photograph. Two bodies, four lenses, and weight less than a single A7 or DSLR body and lens. I wish Sony had put IBIS into their A6300. That way I could IS the Sigmas and my old Nikon manual focus glass. Oh well. There's seldom a perfect solution, right? I'm in a bit of a lens holding pattern, not quite sure if I will add full frame to m43 with a K1. But if not, I'm still waiting to see how good, how large and how dear the new Olympus f/1.2 primes are (supposedly the 25mm arrives soon). I would like at least one "ultimate" prime, probably for no good reason. The Panasonic 35-100 f/2.8 is also on the list. Like the size, and I've heard good things. Go ahead and get yourself a Panasonic GM5, so you can use the lenses you like. It is by far the smallest and lightest M4/3 camera with an EVF. For me it's the mighty Fuji GX series of lenses and cameras. A simple set of camera and three lenses, that is 50mm 5.6 wideangle, 125mm 3.2 fast standard and 180mm 3.2 - best portrait lens on this planet, can easily fit in the trunk of a HUMVEE, and weigh no more than 17 pounds. I don't do tele so I don't need it, but if you do, there's the lovely 500mm 8.0, just under four pounds. Seriously though. The 180 3.2 is THE portrait lens. No kidding. Cross my heart and all. Canon lenses are excellent and they have a fantastic array from which to chose. I've used a huge selection of their lenses over the years and they can always be relied upon. The latest 24-70 is really an amazing performer, many photographers I know have ditched primes in its favor. As for Fuji glass, I have the XF 23mm 1.4 and the 35mm f/2 and they're great to shoot with. I have one issue with them: changing lenses on my Fuji X-T1 is far more precarious and slow than on my Canon 5D Mark III. The small size of the lenses, combined with the aperture and focus rings means that there's not much to grip. The 35mm f/2 is particularly problematic in this regard. Plus one for Ctein and that 12mm Oly...I scrimped and saved and used a tax return as well, just to buy that thing and after testing it, it was: "meh". I will tell you that I'm trying to collect the Oly primes (got the 12, 25, and 45, need the 17), but I'm using them on Panasonic bodies, and for some reason, they just don't look as good as even the Pany kit zoom. I've got a sneaking suspicion that the bodies 'auto-correct' their own brand of lenses, and not the others (+1 for Craig). It's one thing to have a nicely interchangeable M 4/3rds mount, but if it isn't doing anything for other brands, then why bother buying other brands? To Chris Fuller's point, I'm trying hard to like M 4/3rd's. The cameras fit my hand great, I love the sizes of the lenses, the actual sharpness is absolutely acceptable for anything most professionals would do, from E-Comm imaging to full bleed magazine spreads. But, every time I pick up my old Nikon D90 and shoot off a few jpegs, the resulting image just seems to look far better than what I'm getting out of my Panasonic/Oly combo without putting in a lot of computer work. I've been a m4/3 user for some years now, and have recently added Panasonic's 100-400mm (= 200-800mm) lens to my group. What a pleasure to use such a wonderful photographic tool. No matter which system one chooses these days, we should be grateful that the camera companies are continuing to innovate and market fine products. I've found that I can get two GX8 bodies and two lenses (that 12-35 f2.8 and the 35-100 f2.8) plus the charger, in a Dopp Kit. That's my travel bag. I agree that the 12-35 is a good lens, but most of my shooting is with the 35-100, usually in the 85-100 equiv range. In fact, I've thought of dropping the fairly large (for m4/3) 35-100 and replacing it with the 42.5, but I like that 200mm equiv for travel, even if I don't use it much. I'm waiting for Nikon or Canon to go mirrorless with super-compact bodies and larger sensors -- Nikon has shown it can engineer the bodies, with it's brilliant small-sensor mirrorless 1-series cameras, but I don't want to go smaller than m4/3, and the Nikon sensors are only half that size. Nikon also showed historically that it could do quite well versus other camera companies when they were all competing in the 35mm film realm; I wish they'd join the m4/3 consortium and then just go ahead and compete. I really hunger for a 4/3 aspect ratio, Nikon ~24mp mirrorless camera with a sensor large enough for fully professional work, and small enough to reduce the lens size to that of the m/the m4/3s. I trust my Nikon 105mm micro that I bought used nearly 20 years ago. It's a great lens that I understand and can work with. But I *love* my new Fuji X100T and its lenses. I don't trust them, but I have a wild crush on them. I have a similar, even smaller kit. The 17 is on the camera most of the time, and 12-32 is mostly used for it's wider range, and for me the 45 (90 eq) is not used much. Thinking about replacing the 45 with 60 macro.
. . . oh man. Threads like these are mildly addictive. Well, here goes. But first an anecdote to put the answer in perspective. My favorite lens of all time was the 45/2 Planar for the Contax G-series cameras. Why was it my favorite? I can't say. I didn't even really like the camera that much. But the lens was a favorite -- the pictures were magic. I liked it so much, I bought a second one and sent it off to Japan to have it retrofitted into a Leica M-mount by a shop that does that kind work. The trick at the time was that the shop would only ship domestically, so I needed and found a Japanese correspondent to be my man on the ground, so to speak. This fellow received the lens from me, walked it into the workshop, picked it up when the workshop was done with it and shipped it back to me along with a cartoon translation of the lens test data from the workshop . . .wow. The punchline was that when I mounted the newly barreled lens onto my Leica . . . it just didn't have the magic of the original. Once again, I don't know exactly why. It isn't as if the pictures aren't sharp. There is just a little magic lacking. I still have both lenses, of course. The short version of this is that I am a believer in sample-to-sample variation rather than overarching differences between lens lines. And, ya know: 210 Super Symar, 90 Super-Angulon, 80/2.8 Planar, 100/2.8 Makro-Planar . . . and somewhere I have a 300mm Color-Skopar process lens with some edge separation in the outer element group that the pixies have dusted with optical magic dust. In response to Ken, I too shoot wildlife, and have a fairly complete Canon system ranging from 500mm f/4 down to 16-35 zoom. But increasingly, I find myself using m43, especially with the newer lenses. The new Panasonic (Leica branded) 100-400 zoom is a game-changer for me. I now haul out the Canon only to use the MP-E 65mm macro or when I need especially good low-light performance. Current? Definitely Fuji. I'm not completely impartial, though, because I've owned nearly all their medium format offering at some point and loved each and every one of them (the first GS645, with the bellows, was my absolute favorite). They definitely know their glass. Legacy? Contax Zeiss glass on a full frame body for landscapes and "sharp" portraits, Minolta MD for "painterly" portraits. Horses for courses. When I do "serious" photography, I haul out the 43, 80 and 150mm lenses and the Mamiya 7. I have also used the 65mm. I found it as optically excellent as the other three, but I never warmed to its angle of view in the 6x7 format. I have not tried the 50 or the 200. I would be surprised if they were not as good as the rest of the lens line. The most comprehensive is Canon. The one with the highest performance is Zeiss Otus, then Leica. I am voting with my feet by getting rid of my Canon system (because of underperforming ond overweight bodies, nothing wrong with the lenses) and moving to dual Fuji + Leica M systems with a smattering of Sony fixed-lens compacts (RX1RII, RX100IV). Is there such a thing as 'best' lens line ? All I know is that the two Panasonic f2.8 zooms are more than good enough (the 35/100 is exceptional) for most of what I need to do. The 30mm macro makes table top photography pain free, and renders beautifully. For the rest, I have a cupboard full of adapters and a gazillion old Asahi primes. The old preset lenses have the most character - and sometimes still outresolve the M4/3 16Mp sensor in the centre. The other line which seems to be exceptional are the ISCO blue star 35mm projection lenses, which seem to be in the process of being sold off cheap. No aperture, so permanently f2, and you need to muck around with helicoids and adapters, but worth the effort, and fun. I changed from Four Thirds to Micro Four Thirds because of envy - my wife's 20mm/1.7 wasn't available for my mirrored camera. That 45mm/1.8 was so good that I had to buy two of them - one for each of us. And I also got the 25mm/1.4, and the 14mm/2.5. . . .one of the comments above raises an interesting question. Are you really talking about a a "lens line" if the IQ produced is half the result of lens design and half the result of software? The edges of the category are getting pretty squishy, it seems to me. Another thought: A couple of weeks ago I went to NYC with my son and I took an Olympus E-M5, the 20/1.7 Panasonic (version I, I think . . .didn't know there was a v.II) and the Olympus Zukio 45/1.7 (Prince of Bokeh? Arch Duke of Bokeh? Dog Catcher of Bokeh?). So despite my post above, maybe "best" is the set of qualities that cause you to choose those lenses above all others for a weekend in NY. I believe there are a few other good Canon lenses as well. If I want to travel light, I put the old, non-IS 35/2.0 on the camera, and the 85/1.8 in my pocket. Nice, but you just know the boring old Canon stuff is going to do the job every time. Let me throw in with the Panasonic lovers. The 12-35 and 35-100 are really all I should ever need. I remember Kirk Tuck saying, when he had micro 4/3 cameras, that the 12-35 made photography so easy that it was boring. I am paraphrasing like crazy here, but that was the gist. And it's true, it's great lens. I should add that the Leica 45mm macro f/2.8 is a rarely mentioned gem. Very clear in that Leica way, and lovely color rendition. Probably too slow for great bokeh. Let's not leave out the other micro-4/3s advantage, which is that you can mix and match your lens choices from Pany and Oly. I have Panasonic bodies, but my lens lineup is: Lumix 7-14, Lumix 14/2.5, Oly 17/1.8, Lumix 20/1.7, Oly 25/1.8, Oly 45/1.8, and Lumix 45-200. They all fill specific roles for me, and do it better than selections from any single manufacturer's lens line could match. I've never liked zoom/varifocal lenses much, but the Lumix 7-14 is an absolutely stunning performer, and in a very different way the 45-200 is amazing because of the performance it delivers at a bargain price. I might have to break down and admit that I'd like to get that Lumix 12-35 because I can anticipate its performance, but I don't have the cash to find out. Definitely Panasonic. For me the key test of a lens line is the quality and choice of mid-range zooms. As well as the wonderful 12-35mm f/2.8 and innumerable kit zooms, Panasonic also have the diminutive 14-42mm power zoom lens. While not much heavier or costlier than a Nikon lens cap, this is a great, sharp and stable little lens, if a tad prone to flare. Contrast Canon, for whom this is a black hole in the APS-C space. After the kit zooms you have a choice of the adequate but fragile 17-85mm and the excrable 15-85mm, a lens so bad it actively inhibited my photography, or the expensive and heavy 17-55mm. There's nothing to compete with either of the Panasonic lenses. Back to Panasonic there's a similar story in the short-range telephoto space, with the excellent 35-100m f/2.8 supplemented by another jewel-like power zoom in the form of the 45-175mm. I like having the option to "kit up" with any Panasonic body plus either the two f/2.8 zooms, for ultimate image quality, or the two smaller power zooms for a neat package without much quality compromise. That option doesn't seem so obvious in other lines. I like a mishmash of Panasonic and Olympus. Panalympus? Olympasonic? Panoly? I was a fan of Panasonic. I owned the GX7 and loved the portability and ease of use. The lenses are small and very sharp. I was looking forward to getting the GX8. I also have access to many different cameras to test thanks to B&H. I was pleased with Olympus and found it as good, if not better. I preferred the GX7 because the viewfinder is on the left rather then the center (I have a big nose). I like fuji as well but the size of the lenses were pretty big. What made me quit panasonic and buy Sony was customer service. The LCD was broken on my GX7, I dropped it and sent it in for repair. Rather than emailing me with an estimate, Panasonic mailed it back with a sticker on the sensor. I was furious and called them up. They would do nothing for me and said it was my fault. I was told the sticker would not damage the sensor and was made to not cause problems. I asked them if it was a magic sticker because I had never heard that before(It was a stand Avery label you buy at Staples). Eventually they replaced it with a refurbished camera. I sold the camera and all my lenses and bought the Sony A7RII (and a third party warranty). I couldn't be happier, except for the fact that the resolution is so high, it shows even the slightest camera shake. "Line" is, today, the wrong question. What I care about, what I choose and commit to when I buy bodies, is a mount (and even then, if manual focus is acceptable, there are sometimes adapters available particularly for mirrorless lines). Limiting myself to just one lens line is too restrictive; in fact I've never done it with any interchangeable lens camera except my Leica M3 (and that was from 1973-1978 roughly; a long time ago, and a brief period of time). So, the Micro Four Thirds mount supports AF entries from Panasonic and Olympus and Sigma and probably others, and I can mix and match them quite freely (and I do). And of course the major third-party manufacturers make lenses for all the "major" mounts; since they tend to make them for all the major mounts, those tend to be "free squares" on the bingo card. I switched from Pentax to Fujifilm — not that there was anything wrong with Pentax; I was just itching for mirrorless — and picked up the 23mm and 56mm lenses. With Pentax, I'd settled on a rotation of four of the Limited lenses, and assumed I'd replicate that eventually in the new system. But nope. Just like the ideal situation for "George" in your advice few years ago (http://theonlinephotographer.typepad.com/the_online_photographer/2010/05/letter-to-george.html), I'm having a hard time feeling like I need anything else. Aren't "lens lines" almost irrelevant now? I can mount Leica, Nikon manual focus, Canon, Zeiss, FE, Alpha and about a dozen others on a Sony body. With Fuji there are adaptors for Leica and others. Even the M Leica has an EVF and can adapt several different mounts. I use a ZF100mm macro on my M all the time. Even Canon and Nikon have Zeiss, Sigma, Tamron and Tokina as offerings. The same lenses work just as well on an a6000. Lens line has never been more irrelevant. Now you choose a camera based on ALL the lenses that are available to be adapted to it. Another vote for Fuji - for the uniform excellence of the XF line. Yes,, everybody has some gems (I don't disagree with any of the individual lenses people have mentioned - if I've used a mentioned favorite, I've found it at least very good, and often excellent). The nice thing about Fuji is that almost ALL of their lenses are very good to excellent, with some truly superb ones in there. I've never shot Leica, so that may be true of their line as well (probably is, and should be for the price). ALL of Canon, Nikon, Panasonic, Olympus, etc. make quite a few junk lenses as well as their gems - even the Fuji XC line are not junk, and once you get past the XC line and into XF, all are really nice. I thought about this and then realized that I don't have a favorite. As a long time Nikon user, I think that Nikon has great depth in all sorts of lenses of varying parameters, vintage and cost. But that doesn't automatically make it the best and Nikon doesn't have anything to the Panasonic 20/1.7 that you mention, a modern classic indeed. Mind you, while I think that the 20/1.7 is a great lens, it's not my first choice for landscape due to the disparity of performance between center and edges. So even the classic isn't the ultimate lens. I will defend Sony (full frame) with the point that many lenses seem to be class leading. Take the Batis lenses or the Sony 55/1.8, all have very high performance, something that competitors aren't matching. They are in a sense demonstrating the state of the art. In terms of size they are that special though, but my small Sony system is still lighter in the bag than the equivalent Nikons and I have some very compact lens choices too. I could go on and sing the praises of the lenses in every major system, but it's not necessary. Some systems are a good match for some people and for me, the wide angle issue was a significant drawback with micro 4/3, although that system has possibly the sweetest choices of short teles. "mishmash of Panasonic and Olympus..."
A Panoply of lenses ? 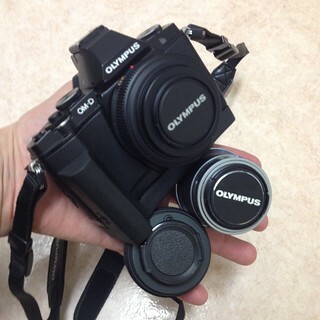 For me it is Olympus whether it be for m4/3 or for full frame. Yep I'm shooting with OM glass on a Sony A7r and am absolutely enjoying it. In the film world, the best series of lenses that I have used have to be the Carl Zeiss Hasselblad lenses. In 1991 I bought a Hasselblad 500cm with the 80mm Planar and added the 60mm Distagon and 150mm Sonnar lenses and used that combination, with Kodak's Vericolor (now Portra), for wedding and portraiture. I was always satisfied with the results. In later years, when film photography transitioned to digital, I purchased more Hasselblad primes. I found the 38mm Biogon (SWC) and 100mm Planar and 120mm Makro-Planar to be outstanding optically especially with Kodak T-Max. These days I alternate between a Fuji X-T1 and Olympus OMD EM-5. The Fuji 18-55mm is on the camera all the time, and I most often use the Zuiko 12-50mm lens. It is light weight and a capable image maker. I have a hard time adjusting to its form-factor; it reminds me of the cardboard tube from a toilet-paper roll. I moved from Nikon to Fuji a few years back. I could not be happier. I am absolutely in love with the X Pro2. For me it's the perfect size. I have all the primes except the 90 which I would never use. I do wish they would release a 23mm F2 lens. Right now that void is being filled by the X100T I would never sell anyway. The 23 F1.4 is a great lens. From the 14 to the 56 I have zero complaints. I actually use the 60mm more than the 56 because I just never need F1.2. It focuses very fast and accurately on the X Pro2. The only zoom I have is the kit 18-55. It is definitely superior to any kit zoom lens I have ever used. It's not just the lenses, I think Olympus and Panasonic are magic boxes that can do everything, the only disadvantage of the smaller sensors is resolution. But luckily there's magic and lenses. I mainly use m4/3, but still use my Nikon D300 for waterfowl and some other types of photography where I need/prefer it. Unfortunately, Nikon could not be bothered to produce a full line of quality DX lens for it and I had to move to other brands. I much prefer the m/43 lenses I have from both Panasonic and Olympus to any of the Nikons for a number of reasons, including image quality in most cases. That being said, except for the Panasonic "Leica" 25mm 1.4, I haven't found anything of that brand I really like. I much prefer Olympus lenses. The 20mm has serious uncorrected chromatic aberration on Olympus cameras and focuses too slowly although it is better on the GX 7 than older cameras. The 12-35---well, I just can't like that thing. Naturally, being a zoom, it is a compromise, but it is a compromise that I am always aware of. Plus, it is heavy for m3/4 and the darned zoom has no lock so when it always creeps out to 35mm when I carry it. I should have known all that, but after only a month month old, but is starting to be my stay at home lens. The best lens line up is 4/3 (not m4/3). Crying shame that the cameras - really the Panasonic sensors in the cameras - never lived up to the quality of the lenses. Three separate classes made it easy to choose what you needed (or wanted) and be able to predict optical and build quality. "Standard grade" lenses were small, cheap and light but also good quality lenses. Perfect for beginners, those on tight budgets, or for travel kits. "High grade" lenses were solidly built, moderately fast (f2.8 or faster), optically excellent, and weather sealed. Perfect working kit for most people. Especially useful (and I miss to this day) was the convenience of the 12-60 plus 50-200, especially with the small additions of the ext tube and t/c. "Super High Grade" for those who wanted the best lenses possible. These lenses were the type that Olympus can't help itself from making even when there isn't much of a business case for them -- optically magnificent, large and heavy, expensive and not many buyers from those looking for smaller systems. But truly lovely lenses anyway. Team Fuji for me, but I'm not the type that has to have all focal lengths covered. What I shoot - family, a bit of travel and landscape, some portraits, can easily be handled by just a few Fujifilm primes. Prime lens with an aperture ring, two dials for shutter speed and ISO, simplicity. Mike, as the dizzying array of responses indicates, the initial question needs clariying. Best for what? Best resolution? Best selection? Best pocketabilty? Best for a given specialty? And almost no one of us has actually used all the lines enough to be truly expert across all brands. For myself, I'll suggest the current lineup that seems to best fit my needs: the array of native lenses for Sony FE, and here's why. I can put my A7m2 in a bag with my f4 24-70 Vario Tessar, my 70-200mm f4G and my f1.8 55mm Sonnar and shoot just about any event that interests me. Three lenses, easy to carry. My everyday tag-along bag contains my A7m2 plus the three Zeiss Loxia leneses. They are superb optically, absolutely solidly built, and gems to use. Three lenses, easy to carry every day. I own two other native Sony FE lenses, the Sony Zeiss f2.8/35 and the 90mm Macro G. Both very high opitcal quality, but the six lenses mentioned above have been involved in most of my shooting since I've acquired them. These are only my choices, and I make no claim that anyone should agree. They just work for me. Best line for me would be the Pentax Limited series. I mix and match between the crop and full frame versions, DA15/4, DA21/3.2, FA31/1.8, FA43/1.9, FA77/1.8, If I had to take just 3 it would be 15, 43 and 77. The 31 is the oddball due to size and weight but optically pretty stellar, 21 a bit too small, you can carry it in your shirt pocket verses jacket pockets for the others. They are nicely made you can manually focus with your finger tips if you so desire. I don't think there is one answer for me. As someone already pointed out, it depends on what you're shooting. When I am after coyotes or raptors at Pt. Reyes, nothing beats my Canon 500mm, even though it is the size and weight of a small bazooka when attached to my 7D2. The mirrorless cameras are just not there yet for fast moving action shots at that level of zoom. Just last week in Yosemite however, even though I brought a Pelican full of gear with me, I used my Fuji XT1 with the 14mm 2.8 almost exclusively (which I purchased used from B&H through the TOP linke, based on Mike's recommendation of the lens) with such excellent results,it will now be my go-to landscape kit from here on out. I also have the Fuji 55-200 which came in handy for those close-up waterfall shots as well as the very capable 18-55 "kit" lens. For hiking around, my entire Fuji kit fits in one Lowepro bag that is smaller than the 500 lens case, which is important for me as a wheelchair user. I agree with this: "I continue to struggle with the selection of Sony lenses for the A6000" and many of the related comments. Sony's camera bodies continue to amaze and their e-mount (as opposed to FE-mount) lenses continue to disappoint. The good primes are appreciated but the system is still underdeveloped. A shame that Sony and Fuji couldn't agree on a lens mount. If they had, I doubt M43 would still exist. The camera size comparison is a little misleading. The 80D is aps-c and the 24-70 lens shown was developed for FF. The focal length equivalent in this comparison is not the same. A 5D III would be more appropriate for size and weight and cost comparison. Echoing another posters sentiment, Canon does not have a very good selection of lenses that were developed strictly for aps-c. Much of a lens' character is found in the corners when pared with a format that it is designed for. Canon's FF capable lenses become perfectly bland on aps-c sensors. I wish Canon would develop more EF-S lenses. If you only have two zooms it might make sense to stick to one supplier as then the operation of both are very similar. Otherwise the great benefit of m4/3 is the ability to mix good lenses from many different suppliers. I have too many lenses but they gave just gradually multiplied. 8/15 O lens cap. Not a great lens by any stretch of imagination. 2.8/20 Hartblei tilt/shift. Rare, discontinued, optically ok, a bit soft in corners when fully shifted. I do some architecture so wanted to get this as soon as I heard about it. Keeper for me. 2.8/30 Sigma. Good lens but slow and a bit unreliable in focus. 6.3/300 Tokina mirror lens. Difficult to focus, very compact but overall not good. 14-140 Panasonic. Good super zoom when one is unsure what to bring and still want to cover all angles. 14-42 Oly kit zoom 2-3 different ones. All ok. I like the compact collapsible one. 45-200 Panasonic. Mediocre long zoom. I love many of Olympus' lenses. But I just have to put in a word for one I think is overlooked amongst lens fans: The Panasonic 14-140mm lens. It is *surprisingly* good, and when using it I use the whole range moment to moment. Really, I've had both a Nikon and a Pentax in the same range, and they both sucked molten death optically compared to this one. This is a tad off topic but not really. A photographer I have admired for almost as long as I can remember is Ralph Gibson. He is privileged to have 50 Ltd edition Leicas with his signature which, to my way of thinking, is about the only way Leica can really sell these things anymore. If and that's a huge IF, If I had that kind of money to blow on cameras and lenses, it would not be on this jewel. The camera and lenses of today are so far beyond what "run of the mill" cameras and lenses were (shall I say it?) back in the day. Forgot to add any comment on that Nanoha macro. Another quirky lens. Not really a macro lens, more like a microscope built for m4/3. Good quality but very limited utility. Extremely narrow DOF. Maybe good for the bokeh seekers but one should really use focus stacking with this one to get useful images. It seems slower than the similar Canon 1-5x macro but is actually faster because this is the actual aperture at 4x magnification while the Canon 2.8 is nominal infinity aperture. Comes with a 3 LED lighting unit. I love my MFT cameras, and I have some lovely lenses, and I carry it all with me everywhere. But I lately got this Sony FF. Despite reluctance to even think about getting into that system because of the lens line, I find the lenses I now have for it are the best lenses I ever had. They were expensive, which is what I was afraid of. The Zony G90 macro is a bit heavy, but it is very sharp with nice bokeh. Sharpness declines a bit before f8, so that is it's only flaw. It has fast AF, and a pull-ring switch for MF, which works great, even if by wire. I have two 50s, if you count the Zony 55 as a 50. One will go for sale, probably the Zony. The 55 is amazingly sharp and flawless right from f2 with very creamy bokeh. The 50 is the Zeiss Loxia, which overtakes the Zony after f4 or 5 in sharpness, and the bokeh is a little more interesting to me. It holds a bit more detail without being ugly about it, while the Zony is mushier. But both are fantastic lenses, and neither is big or heavy. Also, now, the Loxia 21, which is also very amazing and compact. I carry the FF gear as well as the MFT, because sometimes one is better than the other. You can't really compare FF and MFT bokeh, because there is such a different range. If you really want to mess with bokeh, FF gives you a broad range of possibility, and it's just better. Sorry to the King of Bokeh, and its Olympus cousin, which I own. With MFT you can have some nice bokeh for a stop or two, or if things are close, or if the lens is long (like the Oly 60 2.8, which might be the true King of Bokeh for MFT). But with MFT you can't really get nice bokeh at f5.6 or so unless the subject is close or the lens is special. It's easy to get a nice range of OOF with FF. With MFT you can easily get a lot of depth of field, which sometimes is the best thing. Sometimes with FF it's just impossible to get enough DOF, and you have to make friends with some degree of OOF or another. So, yeah, weight. But it's about palette, quality, appropriateness of the tool, range of expression. I haven't shot micro 4/3 in a long time, but I used to have a 20mm 1.7, and the distortion was quite pronounced. It just distorts, well, like a 20mm lens, and not like a 40mm lens on full-frame. I don't know whether Panasonic are actually doing this, but in response to Ctein I want to mention that it has become a trend for manufacturers to bake lens corrections into the Raw file, not just the Jpeg. To many people, this question ignites in their self three of the seven deadly sins, "pride" for what they own, "envy" for what the others own, and anger because they don't have valid arguments to argue why what they own is better. To me, today is very hard to seriously answer this question. Most well stablished photo and optical companies produce excellent cameras and/or lenses, Canon, Fuji, Leica, Nikon, Olympus, Panasonic Pentax, Samsung, Schneider, Sigma, Sony, Schneider, Tamron, Voigtlander, Zeiss, etc, etc, etc., they all do. Within their offer, some lenses are better than others, this is true for all of the companies. We are really spoiled because the offer is huge and of excellent quality. The saying "In optics you get what you pay for" is still true, but is becoming more and more common that unexpensive lenses are such because they have a smaller maximum aperture and/or plastic construction, not because they are optically inferior. it is the new incarnation of my old non apo 35mm f2.0 summicron, which I still have with me. I have many lenses, an embarrassing number of them, 3 Hasselblad, 6 Leica M, 6 Olympus Zuiko (film), 1 Fuji C and 3 Shneider for my 8x10" camera. However, today M4/3 satisfy my photography needs100%. I got a friend Sony A7 for a couple of weeks with Leica M and Olympus Zuiko adapters to perform tests because I was seriously considering to get one in order to use my old lenses. Results were good but not better than those I get with my compact and more portable Olympus EM1 and various M4/3 lenses. To answer the question of hugh crawford "why are Micro 4/3 cameras so darn big? ", I ask you, Have you grabbed one? because cameras must have a small size limit, beyond which they are useless. To me, M4/3 cameras are already a little bit on the smaller size. If I follow your proportion math, a camera with the image sensor of the iPhone should be smaller than a matchbox. Another Fuji fan here, with a spanking new Xpro2 to play with, along with more lenses than I ought to own and more than I need. All work exceptionally well, though not necessarily in order of price. The 18-55 and 60mm punch above their price bracket in optical terms. Not that I have any issues with those that love Panasonic's current range - I advised my nephew to buy one with the very good kit zoom and a Pentax adapter for his old lenses, and he couldn't be happier. He's been filming for a friends blog and finds the video performance amazing. All Nikon has to do is make a 27/2.8 AFS-G DX pancake lens to go with their light and compact D5500 body to make a higher quality, faster focusing, and lowest cost shooter's DSLR camera that "Trumps" (how I love that word) their competitors. However the listeners at Nikon have all been "fired". Seriously, it would be under $1000 and faster than anything mentioned above. The Fuji 23mm & 56mm lenses are just magical at every stop. Whereas the OIS in the 50-140mm is just magical, full stop. I don't know what "best" means in this context. After using Canon EOS for 20 years plus, I have moved to Sony Alpha 7 about one year ago. Why? Because of the wonderful Zeiss Batis, Zeiss Loxia, and some Sony Zeiss lenses (e.g. 35 f2.8 and 55 f1.8). Just looking at the Alpha 7 from the standpoint of the new f2.8 zooms is completely misleading. The Batis 18, Batis 25, and Loxia 21, are truly fantastic lenses, that redefine wide angles. Would you carry a Canon 6D with Zeiss ZE 21 f2.8, or a Sony A7 with the Loxia 21 f2.8 (82mm filter to 52mm filter...). The Batis lenses are much lighter than their ZE counterparts, which makes a big difference in schlephability. As for m43 and Fuji X, yes, been there, done that. The sensors are not up to lon exposures (think minutes), and really, why pay the same amount of money for a m43 camera (say EM1) that is the same size as an A7, and as a much smaller sensor? It depends upon which lens you're talking about. You can't generalize. The Panasonic 20mm f/1.7 does have a rather large (but not crippling) amount of distortion, but the Sigma 19mm F2.8 EX DN Micro 4/3 is very low in distortion. Strictly speaking, the software correction is not "baked" into the RAW-- it's there in the metadata and a RAW converter can use it or not. JPEG's are a different matter; it is indeed baked into the image data.
" . . .in response to Ctein I want to mention that it has become a trend for manufacturers to bake lens corrections into the Raw file, not just the Jpeg." Heh. Sounds more "baked" than "RAW." I am actually one of those who shoots RAW files and then throws away most of the data in actual use. I don't have a good technical reason for this except that most of the pictures I share are shared electronically with non-technical, non-photo folks who would choke on a 16-bit TIFF file (to say nothing of my 'country DSL' Internet connection). What is interesting to me about the discussion above is that no one has mentioned the malleability of digital files as they relate to a lens line's "look." Don't like the contrast or default color cast from your Brand X lens, don't like some other quality? Well up to a limit you can change that. . . But I assume TOP's readership is pretty technical-minded, and could apply whatever corrections they wanted. So we must mean something else other than "the files can be salvaged" when we designate a favorite lens line. "Produces out-of-the-box images I like with minimal tweaking?" Does this then become about convenience rather than an objective, measurable quality of the lens line? With the recent close out pricing of the Fujifilm X-Pro1, I've enthusiastically jumped on the Fuji bandwagon. As a former Leica user, the XP1 is about as close as my pocketbook will allow me to get to a digital Leica experience. Love the OVF. And those Fujinon lenses...wow! The 35/2 even looks like the Leitz Summicron 50mm I used on my M6. I only own three Fujinons right now and they are all superb. I haven't jumped ship from Canon however. Most of my shooting is in the focal length range covered by today's "kit zooms". Canon makes some of the best, from the cheap 18-55 to the L-series models in that range. Almost every time micro 4/3 lenses come up the the corrections issue also appears. These lenses have correction information that is sent with the raw file. Fuji does the same thing from what I've read, at least with some lenses. Software can either use it (like Lightroom) or ignore it. Dxo appears to ignore it and apply their own profiles because if you use DXO you always get a slightly wider shot (your 12mm looks closer to an 11mm). If you use the open source Raw Therape you have to apply the corrections yourself, and you also get a wider image. In all my pixel peeping I've yet to see any corner degradation after distortion is fixed. I have the two zooms you mentioned and the super fantastic 25mm f1.7. I really enjoy shooting stills with the Panasonic GH-3 and 25mm lens. Hi, Ctein says "(distortion) Numbers up over 5% are very, very bad, and if you're looking for something in the 24mm-equivalent range in Micro 4/3, you're pretty well out of luck. " He should have a look at Kowa 12mm f/1.8 for m43, distortion 1.1% uncorrected. Stroke of luck? I LOVE this camera. The EVF is the best one on the market, hands down, no questions asked, and I have tried them ALL. It is especially good in low light; where others are terribly distracting and annoying, the GX8 is downright delicious to look through in low light. I hope Leica pulls in their EVF tech for future cameras. As for lenses, I swear by the Leica DG 15mm f/1.7 Summliux. It's on par with M-level Summilux lenses in my opinion. I love shooting my M and my Monochrome but I get a tremendous amount of joy out of the GX8. That's a useful example lens for several reasons. First, it demonstrates that wide-angle lenses for u 4/3 don't have to have excessive distortion, seeing as Photozone pegs this lens at 1%, well within the safe zone. Second, it's a good example of why one shouldn't look to any single parameter in defining a good lens, because otherwise, this one is kinda meh. Overall, not as good image quality as the Olympus. You can't get excellent image quality without holding the distortion down to modest levels, enough for software to fix without degrading the image. But that isn't enough to insure a good lens. IOW, necessary but not sufficient. My "carry about" Panasonic m43 kit consists of a GX8 along with 12–35/2.8, 35–100/2.8, 14/2.5, 25/1.4 & King of Bokeh lenses. All of it fits tidily inside a medium-sized Domke shoulder bag. I also own Olympus m43 gear, which has sat unused since getting the GX8 late last summer. Got other stuff too, including loads of film-era manual focus lenses and even a Sony "full frame" wunderkam, though frankly I don't need any of it (and will likely unload much of it in the mid-term if not sooner). As much as I like the looks and ergonomics of the new Panasonic GX cameras, I prefer to use Olympus cameras because of their OOC colors. The latest GX85 however must be very tempting for the black and white fans amongst us, because of that special new “L Monochrome” mode. The first samples now appearing on the internet look very promising. Hugh Crawford said: "It's simple math. For a given size Micro 4/3 camera or lens, to scale it up to full frame it will be twice as long and have eight times the bulk and weight." That's a "consider a spherical horse" or a "consider a spherical cow" argument. The weight of a lens won't scale as the cube of the linear dimension because the lens tube isn't solid glass. It's a mix of air and thin glass disks whose weight goes up closer to the area rather than the volume (they get bigger but not much thicker because lens design considerations constrain putting thick elements together). Plus there is a constant factor of electronics and motors which are close to a constant between sensor sizes which offsets the weight of smaller lenses disproportionately. This is rather obvious for Nikon 1 lenses that are big (40mm?) on the outside and have a small optical tube in the center about 16mm in diameter. In real life the weight scales a bit more like the square of the linear dimension but there is a constant offset for electronics and mechanics so it's rather less. Distortion or not, I enjoy shooting with the Panasonic 20mm on my E-M10II. It's just the right size, weight, and focal length for my tastes. If I were ever to get the urge to remove it from the body, it would only be to endulge in the joys of the 42.5mm (which I have yet to get). I would be quite happy with those two Panasonic lenses as my complete kit. >> Indeed. If you want crisp wide angle (sharp and with acceptable distortion and vignetting), you need to look at the bigger formats. Wide angle is the bane of small format. In addition to my remark above about the OOC colors: here is a nice comparison between the PEN-F an the GX8. Mirrorlessons prefer the Olympus output. I am not sure. In their examples I like them both. I would have liked some portraits in the comparison. What makes this clear is that if there is one thing that nowadays makes one camera differ from an other it's the color output.